Back in 2011, Jim and Greg were joined by super producer Bob Ezrin. When we say super, we're not just referring to his commercial success, but to his sound. Bob Ezrin makes big, epic albums like The Wall, Destroyer and collaborated on a staggering 10 records with metal god Alice Cooper. He also produced Lou Reed's Berlin and the self-titled solo debut from Peter Gabriel. He talked with Jim and Greg about reuniting with Cooper for Welcome 2 My Nightmare and shared studio tidbits. Now we know what a prankster Roger Waters was and how Ezrin captured the crying sounds in "Oh Jim." And who knew Peter Gabriel had such a good sense of humor? This interview was one of our favorites so we thought we'd share it again. John Cale is known for many things: co-founding The Velvet Underground, producing major albums for The Stooges and Patti Smith, and doing one of the best covers of Leonard Cohen's "Hallelujah." So when John Cale was touring in support of his most recent album Black Acetate in 2006, Jim and Greg wanted him to stop by the Sound Opinions studio to be their first guest on public radio. Now almost 100 episodes later, we wanted to revisit that terrific conversation. During Cale's visit, the three men covered everything from Brian Eno to Lou Reed to Snoop Dogg. And, Cale played two of his songs live: "Set Me Free" and "Gravel Drive," which he names as his favorite track on the record. He explains to Jim and Greg that this song was his way of talking to his daughter about some complicated issues, and why“Dad”sometimes wasn‘t around. Greg notes that despite Cale’s admitted anger, and his undeniable punk rock attitude, a number of the songs on Black Acetate are equally heartfelt and beautiful. Joan As Policewoman, otherwise known as Joan Wasser, stops in for a visit this week. The singer/songwriter has many fans, including Lou Reed, Rufus Wainwright, Antony Hegarty of Antony and the Johnsons, and of course Jim and Greg. It's easy to hear why after her live performance, which includes songs from her latest album, Real Life. Joan, who began as a classically trained violinist, describes her music as "American Soul." On January 20th, thousands will celebrate the Inauguration of President-Elect Barack Obama. But before that Jim and Greg wanted to host their own celebration by playing the best songs ever written about the office of Commander-in-Chief. The Ramones, "Bonzo Goes to Bitburg"
They Might Be Giants, "James K. Polk"
Lou Reed, "The Day John Kennedy Died"
XTC, "Here Comes President Kill Again"
George Clinton, "Paint the White House Black"
According to Jim and Greg, few albums are worthier of the Classic Album Dissection treatment than The Velvet Underground's 1967 debut, The Velvet Underground & Nico. Songwriter and guitarist Lou Reed teamed with avant-garde violist/bassist John Cale in the mid-'60s to form the core of the band, joined by guitarist Sterling Morrison and drummer Maureen Tucker. The sonic assault of their live performances caught the attention of Andy Warhol. Warhol provided the funding for their debut album in 1966 and created the iconic banana cover art. He also insisted on featuring German chanteuse Nico on several tracks. The Velvet Underground & Nico was released in March 1967 against a backdrop of psychedelia, the Summer of Love, and Sgt. Pepper's Loney Hearts Club Band. Its noisy, stark depictions of junkies and sadomasochism in New York City didn‘t fit well with that San Francisco feeling, and the album didn’t sell. But over the past half century, its reputation has grown to the point that, as Jim and Greg argue, it's become the most influential album in rock history. Each track has launched an entire genre, from the goth rock of "Venus in Furs" to the noise rock of "European Son" to the proto-shoegaze in "Heroin." It's hard to imagine bands like Sonic Youth, the Ramones, or Radiohead existing without The Velvet Underground & Nico. On the album's 50th anniversary, Jim and Greg tell the history of the band, give a detailed examination of each of the album's songs, and share their thoughts on its legacy. 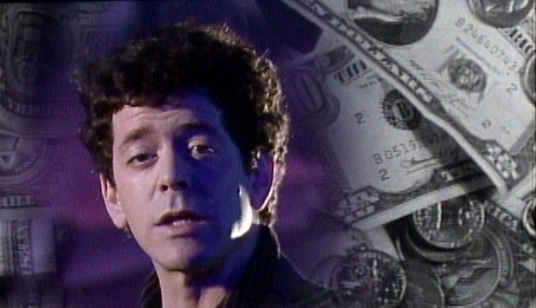 In the list of rock collaborations we never thought we'd witness, Lou Reed and Metallica are right at the top. A pioneer of punk has joined forces with pioneers of thrash metal for Lulu, an album inspired by the writing of German expressionist playwright Frank Wedekind. Yep it's as strange as it sounds, though Jim reminds us that Reed has gone metal in the past, and well. But here, he is just talking his way through the vocals. And Metallica isn‘t doing him any favors. Jim compares their virtuosity to the kind you’ll hear at Guitar Center. 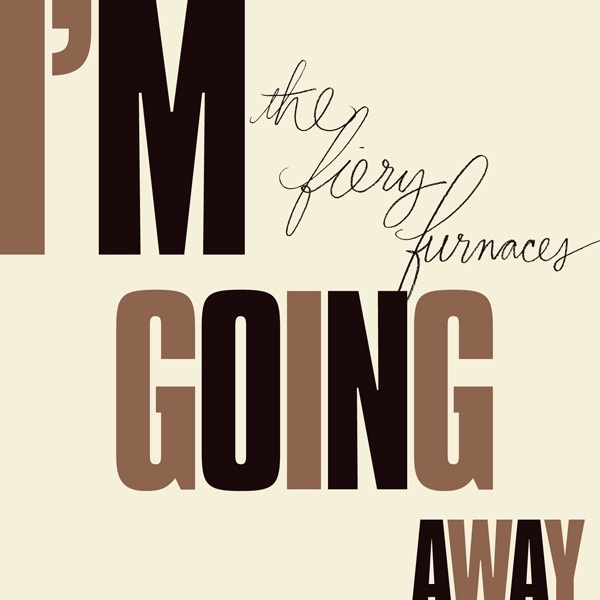 To Greg the album is so dashed off and improvised, its sound like raw demos with no actual songs to be discerned. And he's especially critical of singer James Hetfield's backing vocals. 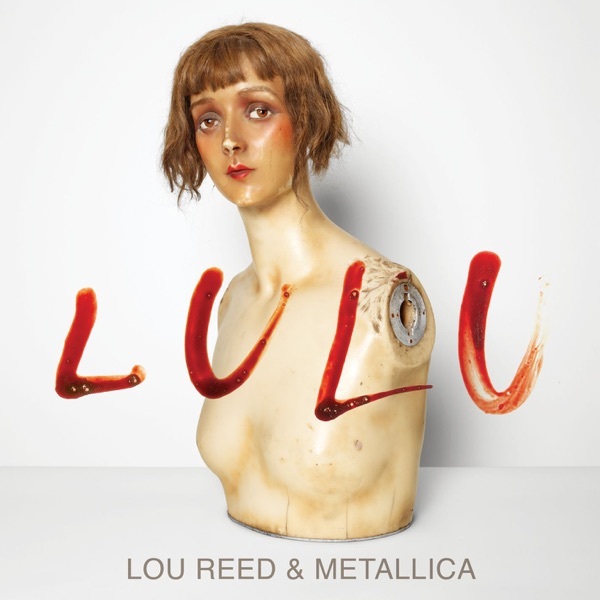 Greg calls Lulu one big raised middle digit to fans; Metallica and Lou Reed get a double Trash It. Next Jim and Greg review The Deftones' fifth release, Saturday Night Wrist. This Sacramento band came out of the nü metal explosion of the mid '90s. That's“nü”with the umlaut, Jim likes to point out. He feels the rap-rock genre that combines heavy metal with a DJ is played out, much like the gangsta rap genre mentioned earlier. But, he explains, The Deftones moved away from nü metal into a more inventive sound with their 2000 release White Pony. Jim witnessed their evolution first hand when he interviewed the band years ago for a Guitar World magazine interview. Now the band has hired producer Bob Ezrin, the man behind Alice Cooper's albums and Lou Reed's Berlin. Greg considers this“an interesting record in terms of tone and texture,”a“plush-sounding record”that would sound great through headphones, and he applauds the band for making such progress. Yet Greg feels the songwriting lacks substance, so he can only rate the album a Burn It. Jim disagrees and gives it a Buy It. He feels the album is for anyone interested in "hard rock that is trying to push the envelope and redefine itself." Not to completely dis Lou Reed, Jim decides to present the musician's softer side during the Desert Island Jukebox segment. Reed has an enviable encyclopedic knowledge of rock and roll, and he showcases his fandom in a recent issue of Rolling Stone. He talks about one of his, and Jim's, favorite songs: "Save the Last Dance For Me" by The Drifters. The song was co-written by one of Reed's heroes, Doc Pomus, and Reed schools even our critics by describing the song's inspiration. Pomus, suffering with Polio, is unable to dance with his wife at his wedding, so he jots down the lyrics on a place card (which was later gifted to Reed). The song became a classic, and one Jim wants to take with him if stranded on a desert island. At the end of the year, many music fans take on the challenging task of making a mixtape. And, Jim and Greg are no exception. They've both made compilations of their favorite songs of 2008. Greg's 2008 Mix: Who's Gonna Save My Soul? Gnarls Barkley, "Who's Gonna Save My Soul"
The Ting Tings, "That's Not My Name"
Bajofondo Tango Club, "Pa' Bailar"
Love is All, "Wishing Well"
TV on the Radio, "Halfway Home"
Vivian Girls, "Where Do You Run To"
Frightened Rabbit, "The Modern Leper"
Rivers Cuomo, "Can't Stop Partying"
Death Cab for Cutie, "I Will Possess Your Heart"
Shot Baker, "Death of Illusion"
Spiritualized, "Death Take Your Fiddle"
Sigur Rós, "vid spilum endalaust"
Beck, "Soul of a Man"
Rise Against, "Hero of War"
Alejandro Escovedo, "Chip N' Tony"
Every year it's interesting to look at what albums took the top slots on the Village Voice Pazz & Jop poll. This is a much more accurate barometer of any given year in music than the Grammy Awards. However, this year Jim and Greg actually gave negative reviews to a lot of the Pazz & Jop winners including Watch the Throne and Let England Shake. But they were happy to see Tune-Yards' Whokill at #1. 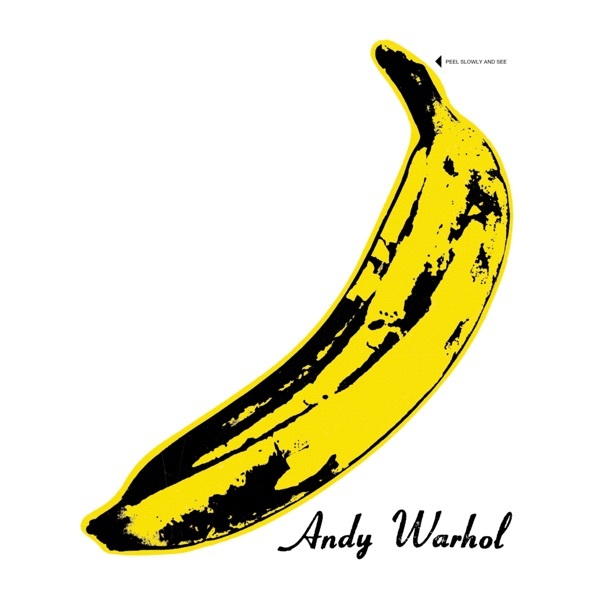 Members of the Velvet Underground including John Cale and Lou Reed have filed a lawsuit against the Andy Warhol Foundation for Visual Arts over the famous banana featured on their 1967 album cover. Warhol served as producer of the album and gave the band the image, however it was never copyrighted. And now the Velvets want to prevent the banana from going Apple. Jimmy Castor isn‘t a household name, but chances are you’ve heard his music, or at least samples of it. He had a pop-funk hit with "Troglodyte (Cave Man)" in 1972, but also a string of funk and soul gems that ended up being sampled by hundreds of hip hop acts. Castor died this week at age 71, so to honor the late musician, Jim and Greg play one of the often-sampled tracks, "It's Just Begun." Casey Kasem, a voice of musical authority almost as well known as Jim and Greg, passed away earlier this month at the age of 82. For nearly four decades Kasem counted down the county's biggest hits on his syndicated radio program American Top 40. While Kasem was born in Detroit, he drew on his family's Lebanese storytelling traditions to inject colorful commentary in between the songs on his countdowns. His unique contribution to music history is matched by his contribution to television history – Kasem voiced the character of Shaggy on Scooby-Doo for over thirty years. Another memorable voice gone this month belonged to contralto jazz vocalist Jimmy Scott. Though small in stature (Scott's growth was stunted pre-puberty by Kallmann's Syndrome), his voice resonated through the decades with artist as varied as Lou Reed, Marvin Gaye, and Frankie Valli. For nearly 66 of his 88 years, though, Scott was unknown to most people, as he was often not credited for his work singing on other people's records. 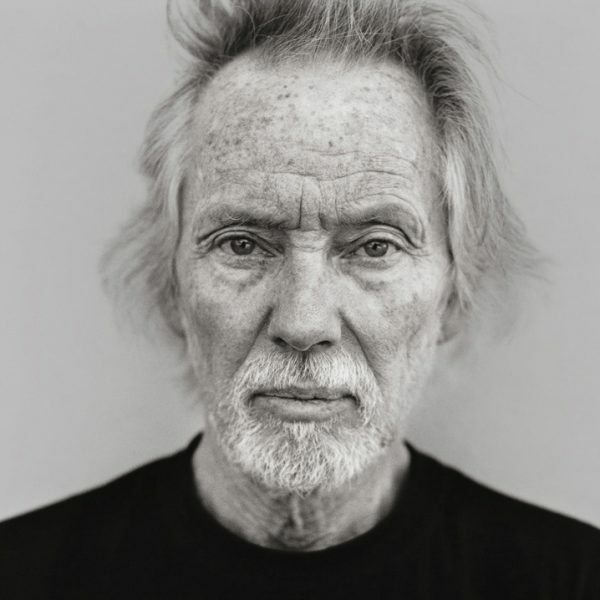 He‘d nearly faded into obscurity when a record executive heard Scott sing at a friend’s funeral and offered him a solo recording contract that brought Scott's powerfully melancholy voice back to move a whole new generation. In his honor, Greg plays the song "Sycamore Trees" performed by Scott in the final episode of the television series Twin Peaks, which was created by another one of Scott's admirers, David Lynch. Just when Taylor Swift is shaking off Spotify, her friend and singer-songwriter Ed Sheeran is embracing it. In 2014, Sheeran was the most streamed artist on Spotify with over 860 million listens. He also sold more than 1 million copies of his album X in the UK alone, proving it is possible for an artist to have albums available to stream, while still selling physical copies. Sheeran says Spotify helps him do what he does best, and he is embarking on a world tour starting out at Wembley Stadium in July. Bill Withers, Lou Reed and Joan Jett are just a few of the musicians about to be inducted into the Rock and Roll Hall of Fame in 2015. However one selection in particular has Jim and Greg scratching their heads: Green Day. The band becomes 1 of only 48 H.O.F. members who were admitted in their first year of eligibility. This feat is normally reserved for the Willie Mays-like musical figures, so this choice left our critics a little confused. Also, Greg and Jim note glaring omissions with the bands Chic, Kraftwerk and Nine Inch Nails. Jim pays tribute this week to Rosie Hamlin, lead singer of Rosie & the Originals, who died on March 30 at age 71. 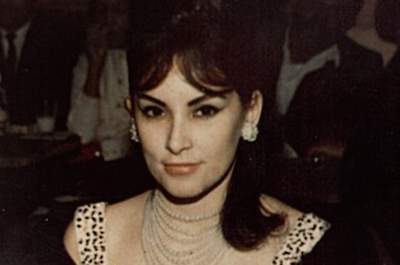 A Mexican-American girl growing up in southern California, Rosie was only fourteen years old when she wrote the classic 1961 single "Angel Baby" and recorded it with some fellow high schoolers. After self-distributing it, the song was picked up by Highland Records and became a nationwide hit. Label disputes stalled her career and the song was her only musical success, but it made a big impact and was covered or referenced by artists as diverse as John Lennon, Lou Reed, Led Zeppelin, Linda Ronstadt, and System of a Down.